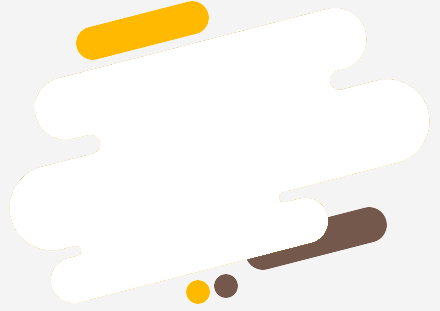 Following this strategy, which was started in 2012, the Compañía Nacional de Chocolates has been developing a communication campaign that aims to inform cacao farmers. Following this strategy, which was started in 2012, the Compañía Nacional de Chocolates has been developing a communication campaign that aims to inform cacao farmers about friendly practices for cacao farming through a free text message. In 2017 alone, 368,986 text messages were sent to 7,975 farmers. To learn more about this campaign, send a free text message from your phone to 87703 with the word CNCH (available only in Colombia). 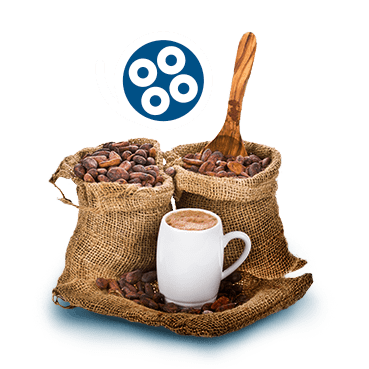 In 2010, the private fund CACAO FOR THE FUTURE (Cacao Para el Futuro) was created; a novel project that aims to ensure the development, wellbeing, and progress of our producers and their families, while getting investors their yield. Technical-Environmental Accompaniment through training in agronomic management of crops, participating in directive committees, technical tours of the Compañía Nacional de Chocolates’ farms, contributions of vegetable material, technical advisory, and guidance for the establishment of plots of land for demonstration. 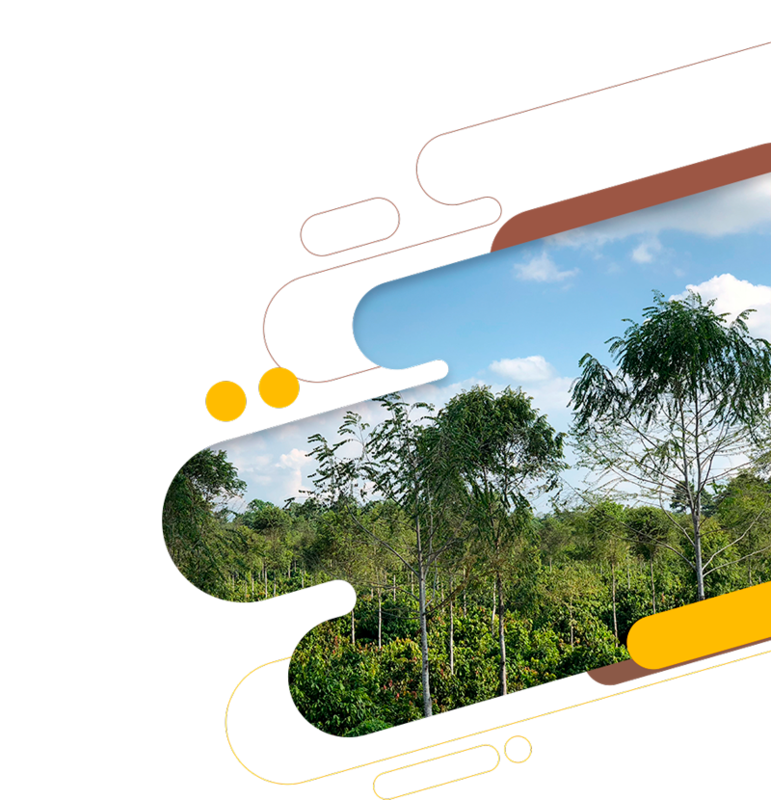 Commercial Support with guaranteed purchase in our facilities, economic sustainability through 10-year commercialization agreements, training in Colombia’s NTC 1252 norms and the commercialization of cacao. Socio-Organizational Support through cacao farmers meetings. In 2017, we mediated 140 alliances, impacting 23,867 hectares of cacao in 22 departments across the country, equalling to 11,917 cacao farming families. The Compañía Nacional de Chocolates works towards the sustainability of the cacao production chain through its Sales and Agricultural Promotion Department, which was founded in 1958 and has since promoted cacao farming around the country through advisory, training, research, and collaborations with producers, public and private entities, and NGOs. The Compañía Nacional de Chocolates works towards the sustainability of the cacao production chain through its Sales and Agricultural Promotion Department, which was founded in 1958 and has since promoted cacao farming around the country through advisory, training, research, and collaborations with producers, public and private entities, and NGOs. 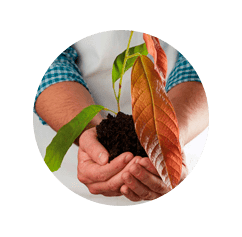 We have a team of engineers who specialize in the production and commercialization of cacao, and who serve everywhere the Compañía Nacional de Chocolates works across the country. Granja Yariguíes (Barrancabermeja, Santander):was founded in 2008 to focus on research and serve as a technical training center, as well as producing vegetable material certified by the ICA, and applying the Good Agricultural Practices certified by ICONTECT, and generally promoting cacao farming with a focus on business. Granja La Nacional (Támesis, Antioquia): it has been certified as a Clonal Garden to produce high quality vegetable material accomplishing the national standards. It is also a training center for groups of producers, technicians and students. From the humid and hot jungle in which it sprouted since time immemorial, cocoa has come a long way to reach our lives and be part of our memory. Learn more about the process of growing and producing cocoa on our farms. With the commitment to promote the cultivation of cocoa in Colombia, we have sale of plant material and purchase of dry cocoa. For more information download the attached file.